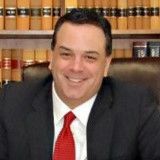 John Simonian is an experienced and skilled attorney. He is compassionate and understanding of his client's struggles and he has to tools to help. If a person needs to investigate if bankruptcy can help with their situation he is a very good choice. Are The Benefits To Bankruptcy Immediate Or Long Term? Why Does My Lender Want To See My Pay Stubs For A Mortgage Modification? Can I File Bankruptcy If I Have Not Filed Taxes?